Our brand new package! Your escape begins with an incredible soothing Dermalogica Therapeutic Facial Treatment. 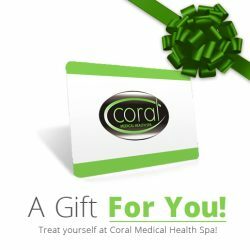 After the facial, enjoy a warm cup of herbal tea, while one of our skin care professionals treats you to a Coral manicure and Coral pedicure, complete with polish, massage and cuticle care.